Security and event management (SIEM) specialist NitroSecurity is to target partners disillusioned with last year's acquisition of competitor ArcSight by HP as it unveils a series of partner programme enhancements in EMEA. NitroSecurity was originally conceived as a US government database project to run and monitor nuclear reactors in the wake of the Three Mile Island disaster, and subsequently morphed into a security business. It claims that the high-performance database technology that still underpins its security products means it is able to react much faster than competitors to threats such as DDOS attacks. The firm fetched up in the UK late last year under the leadership of former LogLogic and LogRhythm man Peter Christou. Christou has already quietly built up a small channel of five network and security integrators in the UK and Ireland, and is now looking to double that number. He told MicroScope: "ArcSight resellers are still confused and not sure what will happen to their businesses. We can take advantage of that." 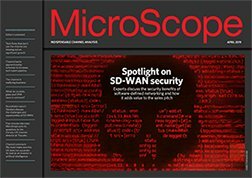 The vendor's NitroConnect programme includes elements such as free training and demos, lead generation and somewhat unusually, no link between sales targets and discounts; "All we ask is that the reseller has specialist security knowledge and can provide line one and two support," said Christou. It also includes online deal registration and protection and monthly solution update sessions to bring partners up to speed on emerging security threats.